El Loco Tools is a free macOS app on the Mac App Store that can quickly make sure every string in your app has been tagged for localization, or not. It’s very simple and very powerful. Select your top level source code directory. It finds every source code file no matter how burried it might be, and then displays any text strings in those files that have not been marked for localization. 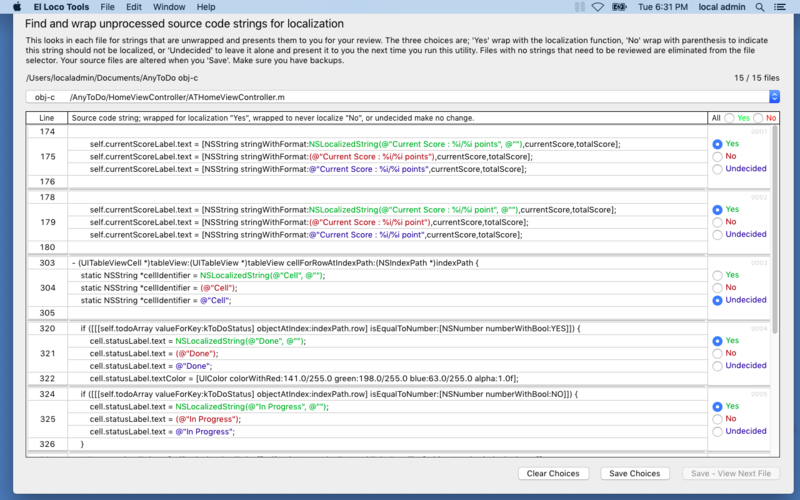 As shown above, your choices are simple; wrap it with the function that says ‘YES, localize this string’, or encase it in parenthesis that say ‘NO, never localize this, don’t ask me again’, or you can defer the decision and leave the string alone ‘I’m UNDECIDED, show it to me again next time I look for text strings’. For now El Loco Tools wraps Objective-C and Swift code. 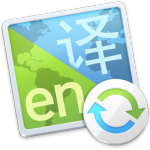 Let us know what other languages you’d like for it to be able to examine and wrap for localization.